Short notice: Because the number of readers asking for a german version is increasing I will try to type all posts in both languages. Below the english text you’ll find the german one in italics. Kurze Anmerkung: Da immer mehr Leser bedauern, dass ich auf Englisch schreibe, werde ich versuchen, alle Posts zweisprachig zu tippen. Unter dem englischen Text findet ihr die deutsche Version in Kursivschrift. While the number of sewing machines in my posession stagnates another small collection is constantly growing. And as with the sewing machines one could argument that I only have two hands, two feet and two eyes. But, as all sewing machine collectors might know, every machine has its advantages, this one makes a perfect straight stitch, the other one is quiet, the next is useful if you want to make buttonholes and so on. The same applies to cameras. I love how cameras from different epoches with different films make different photos. Therefore everytime I see an interesting or cute or somehow appealing camera for a good price I can’t do different but have to buy it. At the moment I own three different types of cameras: standard 35mm ones, roll-fillm cameras and Land cameras. I am still learning and many of the photos I shoot are far from being good, but I still I like the process of photographing as such, the feeling of holding a negative in my hands, knowing this is the only copy of the moment I captured days or weeks ago. For the last few years my true compagnion has been a Voigtländer Vito CD, a camera produced from 1961-66. It is a cute camera with the big advantage of a built-in photometer. It works with standard 35mm-film, the one you can still buy today everywhere (in contrast to roll-films you have to buy in a specialized photo-shop). Here are some photos I shot in the two years I have owned it now. I didn’t do any photoshopping (except for the watermark), black-and-white photos were shot on black and white film. Während die Zahl meiner Nähmaschinen stagniert gibt es da eine andere kleine Sammlung, welche stetig wächst. Und ebenso wie bei einer grösseren Anzahl von Nähmaschinen könnte man argumentieren, dass man doch nur zwei Hände, zwei Füsse, zwei Augen hat. Doch wie mir jeder Nähmaschinensammler beipflichten wird, so hat doch jede von ihnen ihre Vorteile. 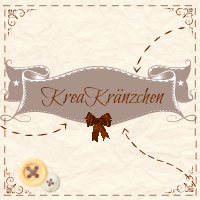 Diese macht einen sehr schönen Stich, die andere ist sehr handlich, die dritte ist nützlich für Knopflöcher etc. Das gleiche darf für Kameras gelten. Ich mag es zu sehen, wie Kameras aus verschiedenen Zeiten mit verschiedenen Techniken/Filmen verschiedene Arten von Bildern produzieren. Daher kann ich nur schwer nein sagen, wenn mich, wo auch immer, eine niedliche Kamera zu einem vernünftigen Preis anlacht. Zur Zeit besitze ich drei verschiedene Systeme, 35mm-Kameras, Rollfilm-Kameras und Sofortbildkameras. Ich steh immer noch ziemlich am Anfang und viele meiner Fotos sind nicht vorzeigbar, aber ich mag trotz allem den Prozess des Fotografierens und das Wissen, ein Negativ in den Händen zu halten, welches die einzige existierende Kopie eines Moments ist und der nun bereits Tage oder Wochen vergangen ist. Seit knapp zwei Jahren ist diese Voigtländer Vito CD mein treuer Begleiter. Produziert wurde sie von 1961-66. Das praktische an ihr ist, dass sie einen eingebauten Belichtungsmesser hat. Sie frisst normalen 35mm-Kleinbild-Film, den man bis heute in der Drogerie oder im Supermarkt kaufen kann (im Gegensatz zu Rollfilmen, die es nur noch im Fachgeschäft gibt). Heute nun ein paar Fotos, welche ich in den letzten Jahren mit ihr geschossen habe. Abgesehen vom Wasserzeichen haben sie kein Photoshop gesehen, schwarz-weiss Fotos wurden also auf schwarz-weiss Film geknipst. Already a while ago I was asked if I would like to share some of the old fashion plates I have. Of course I would! Unfortunately most are too large for my small scanner and I don’t want to damage them, but I do what I can. Additionally you can already find so many scans on the interweb, so if you are searching for good scans you might want to check if someone else already uploaded what you are searching for. Here are the colour plates in my “Journal des Demoiselles” from 1878. Unfortunately some are missing, you can find all plates (and the text as well) here. It’s the first of the month and as always Frl Swing invites fellow flea market addicts and charity shop haulers to show their latest finds. I would like to use this month’s showcase to present a little mystery item, hopefully the online community’s wisdom can help me figure out what it was meant for. I found it only a few weeks ago on a flea market. When I see boxes I have to open them but most of the time they contain nothing or pens or compasses or stuff like this. So I was pretty surprised, discovering something that at least looked remotely like something to sew with. And for a price of 3 CHF I was willing to take it with me (no, the seller had no idea of its function, either). A construction made from metal stick with a wooden knob on top. At the end sits a machine needle, but in a slight angle. Tightly around this stick sits a sleeve with something resembling a sewing foot at its end. When holding the thing by the sleeve you can press down the knob and the needle goes down through the foot. There is no spring inside, so you have to pull it up again yourself. The little l-shaped thing next to the needle has a little hole in the middle, I suppose you could use it to thread your yarn through it. The screw and the teeth directly below the knob allow to adjust how deep the needle can go down. Have you seen something similar and can help me? I would be so very happy as I would love to know how it works. Lieben Dank für einen neuen Monat “Getrödelt, gefunden, gefreut“, liebes Frl. Swing. Ich möchte dieses Mal eine geheimnisvolle Apparatur vorstellen und hoffe ein wenig auf die geballte Intelligenz des Internets, vielleicht hat ja jemand von euch sowas schon einmal gesehen. Gefunden habe ich dieses “Ding” auf einem Flohmarkt vor ein paar Wochen, hübsch versteckt in der oben sichtbaren Box. Auf einer Metallstange ist ein Holzknopf befestigt, am anderen Ende wird eine Nähmaschinennadel angeschraubt, allerding in einem leichten Winkel. Vor der Nadel ist noch ein kleines gebogenes Plättchen (was im Bild wie ein “l” aussieht), durch welches man vermutlich einen Faden fädeln kann. Um diesen Stab herum gearbeitet ist eine bewegliche Hülse, am unteren Ende etwas, was verdächtig nach Nähfüsschen aussieht. Wenn ich das Ding an der Hülse festhalte und den Knopf herunterdrücke senkt sich die Nadel durch dieses Füsschen. Da es offenbar keine Feder im Inneren hat, muss man die Nadel auf dieselbe Weise wieder hochziehen. Mit den Zähnchen unterhalb des Knopfes kann eingestellt werden, wie weit die Nadel durch den Fuss sticht. Gekostet hat es mich 3Fr., auch weil der Verkäufer selber keine Ahnung hatte, was es sein könnte. Mein Vater und ich mussten beide an Polsterarbeiten denken, er hatte die Idee, dass man damit vielleicht Knöpfe an einer Rückenlehne oder so annähen kann, auch wenn die genaue Arbeitsweise dann immer noch unklar bleibt. Zudem habe ich im Internet keinerlei Informationen finden können, die diesem Ding auch nur ansatzweise nahe kommen. Habt ihr so etwas schon einmal gesehen oder wisst, wofür es gut sein könnte? Ich würde mich sehr freuen, etwas über dieses Schätzchen herauszubekommen und es vielleicht sogar einmal auszuprobieren. This post was inspired by one little Christmas present I got last year, but shows in fact much more than this. Already some years ago I got fascinated in tatting. This crafting technique became popular in the 19th century and derived from a pastime of ladies in the 18th century: To show off their gracile hands and wrists women knotted cords in a special kind of way, using shuttles to do so. The results must have been long cords but only very few objects decorated with these have survived (I found this pair of baby shoes in the V&A-collection, though I am not entirely sure if this was really done with a shuttle. In any case it is not, as the description says, tatting, if you look closely you’ll see that the cords are only arranged in a loop pattern, the rings are not connected to each other as they would if they were tatted). The shuttles were comparably large (appr. 15cm long) and richly decorated (see this or this). 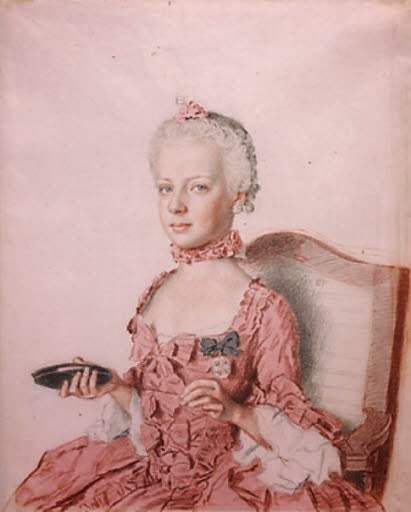 Maybe you know the portrait of young Marie Antoinette holding such a shuttle. In the 19th century this technique was developed further, the shuttles became smaller and a variety of knots was invented, now enabling to produce loops and rings connected to each other and in doing so, a new kind of lace-making was established. Depending on the complexity of the pattern and the forms used, one or two shuttles are needed as well as a small hook, for example a crochet hook. But of course that doesn’t prevent me from still wanting to learn it properly and from buying tatting-related things. Let’s start with the most basic and indispensable one, the shuttle. Still today tatting shuttles can be found in haberdashery shops, for example from Prym. These are made from plastic and comparably light. I started with them and they are ok. But as soon as I had found an old one I switched to this one. These are often made from horn, are heavier and therefore can be dropped more easily through the loops, additionally I have the feeling they are even smoother than the plastic ones. Others can be made from Ivory, tortoiseshell or bone. I found the two shuttles below in the middle on a flea market (paying 1CHF) and an antique fair (paying 3CHF)- Both have a little chip but function perfectly. So if you plan to start tatting you should stop at the market stalls with the untidy and jampacked boxes of small things, maybe you are lucky, too. The light one is presumably horn, the dark one could also be some kind of early plastic, I am not sure about this. On the left you see two more shuttles. The one with the plaid pattern is made from metal, the paint seems to be something like laquer or enamel. Unfortunately it is pretty damaged and the paint chips easily so I can’t use it anymore. The horn one on the far right I already showed once after my trip to London in 2013, I found it on Camden Market (post doesn’t exist anymore). It has inlays made from metal and mother of pearl. With something around 20-30£ it wasn’t cheap, but I found some online afterwards being sold for three-figure sums, so it seems to have been a good deal after all. Already quite some time ago I found a small cardboard box on a flea market in Bern, filled with tatting material. Unfortunately the seller wasn’t present and I was asked to wait. Because I had promised my already very tired boyfriend to leave instantly I was forced to leave it behind but I was lucky and re-discovered it some months later and bought it. As you see there is also a lot of other stuff inside. I love this piece of black velvet with all the samples sewn onto it. Maybe I should frame it? What you can easily see is the distinct effect of tatting, loops and rings with tiny picots. In the back you see a pretty clever box made from fabric-covered cardboard. In front of it lies a tatting pin (that thing with the ring and the chain), some lace and well, I guess you know scissors and a crochet hook. These fork-like things are meant for hairpin lace, a completely different technique, but not less interesting. In the lower right you see an old postcard from Wila, a small town of less than 2000 souls somewere in the canton of Zurich. The pale part can be moved freely around the middle axis. An early 20th century box for a tatting pin as seen above. I was able to have a quick look inside to see that it actually came filled before my boyfriend snapped it away and refused to give it back to me, but paid the seller and had me wait one long month until Christmas to see it again. And when I was finally able to unpack it, I was quite surprised. Not one, but two pins, at least one of them never used. The other one is a bit rusty but I can’t say if this comes from having been used or from aging. to give you an idea of the size I put a standard crocket hook beside it. And the fun bit to finish: I have no idea how these are used. Yes, of course, they serve the same purpose as does a crochet needle, which is mentioned in a lot of tutorials you find. And I know one illustration that shows how it is held: the pin like a crochet hook and the ring slid on one of your fingers. And then? I assume the ring enables you to drop the pin when it isn’t needed without entirely losing it. But I imagine the pin would tangle with the thread and the dangling shuttle when it is hanging on the chain freely. I searched Google, I searched Bing, I browsed the Antique Pattern Library, but I couldn’t find a single image of how to use it, the only image I found online shows the pin alone (here on page 5, the aforementioned illustration with the pin held is printed in a modern book on tatting, so I can’t show it). Is anybody of you experienced in tatting and has ever worked with such a pin? If not I will just try to use it someday, maybe it will work better than I can imagine now, who knows? Every now and then I write about the little helpers without all the sewing projects I post here wouldn’t be possible. They do have their own tag and once in a while they even get a post all for themselves (some of these posts were deleted when my blog moved to the new url a year ago, at the moment there is only one post left online). I am talking about my sewing machines. Whereas many bloggers sew after historical patterns most of them use more or less modern sewing machines and don’t talk about them a great deal. But antique mechanics fascinates me and despite the lack of space I can’t help allowing another machine to join my “collection” every now and then. Apart from having to be somehow interesting to me they do have to work. Apart from 1,5 exceptions all my machines can still sew and are still, more or less often, in use (1,5 because one is actually working but the wire needs to be replaced and without this being done I don’t dare to use it, the other may even be working but I never tried, it is even older than the other and I want my father to check the wires and change the plug before I try). The age of my machines ranges from the early 1900s to the late 1960ies. The oldest two are handwheel-operated and not very handy to work with, these are the ones I use least. The two I use most are my 1948 Singer Featherweight and my foot pedal-operated Pfaff 30 from 1932. Today I want to show you the newest addition to the family, but there is a little story behind. Last year in Spring my father and I were browsing ebay for fun, searching for special sewing machines and children’s ones (my father collects the latter). This all went via telephone and emails because we live 700km apart. Amongst all the other fun and/or interesting links he sent me the auction link to a General Electric Sewhandy. As it turned out, this model was copied by Singer with the well-known Featherweight. As you can imagine this was an auction on ebay.com (I can’t imagine finding the GE on german ebay). My father knew he would fly to the US later that year so he won the auction and had it send to a friend of his. We already were a little confused when the link with the tracking number said something about a 40 pounds-package (the GE-machine was supposed to weight 12 pounds). But my father didn’t want to cause any extra work and decided to wait until he got to the United States himself in the summer, we couldn’t think of anything really going wrong. Well…it did. When he finally came to open the package he did not find, as expected, a cute 30ies green GE sewing machine, but a massive beige 60ies Bernina. Bummer! All attempts to contact the seller were ineffective and so he had to decide what to do with it. The GE would have fitted into his suitcase, the Bernina definitely was a piece of luggage on its own and the airline asked a ridiculously high price for it. But my father didn’t have the heart to dump it. So many accessories came with it, the manual, the case, everything was there and in pretty good condition and the machine itself was working. On the spur of the moment he removed the needle, put all loose parts and his intended hand luggage in his suitcase and headed to the security check with the Bernina to board with him. Technically a small sewing machine as hand luggage shouldn’t be a problem, still it is advised to inform the security personnel beforehand because it is a rather unusual object to take with you. Well he didn’t have the time to do so and this machine was everything but small. And being 40 pounds it was just a tiny bit heavier than the 16 pounds allowed for hand luggage. my right hand isn’t even capable of holding the camera properly, please excuse the blurryness. Well…it worked! Back in Germany he bought a power transformer to make it work with the 230 V voltage here in Europe and when my brother came to help us with the move to our new apartment, he brought the Bernina with him. It is a Bernina 730, a very strong and reliable machine built from 1963-1982, mine is the record variant. According to the serial number it was built in 1969. What makes the 730 special is the then new knee lift. This is not, as with other machines I own, used instead of the foot pedal, but serves as a third hand to lift the sewing foot. Until today this system is available for most Bernina machines. And another thing makes this machine special: To sew decorative stitches it was long necessary to insert little discs into a certain slot. The shape of the disc determined the stitch. That meant that you were able to use a vast variety of stitches, but that you had to store all discs in a separate box. The 730 has a dizzying mechanic inside that makes it possible to chose from a set of decorative stitches without changing any discs at all. I already sewed a little bit with it and it really works great. I even sew knits and it feels ok (I hate sewing knits, but I need to reduce my storage)! What I haven’t tried out yet is how the decorative stitches look but I see no reason why they shouldn’t work. And because all these machines get far too little attention on this blog (and maybe on others, too), I plan to introduce a little series related to them so stay curious! I found this interesting table in a 1924 Dressmaking book. Actually the “Women’s Institute Library of Dressmaking” consists of multiple books, but I only own Volume 2 which covers “Harmony in dress – Beautiful clothes, corsets and dress foundations, silhouettes, colors, fabrics, good taste in dress, millinery and accessories, the dressmaker and tailor shop, european shops”. This table gives you hints on how to combine different colours in street and evening wear, arranged according to wether they can be used as a second major colour, for accents or only in small doses as trimming. I wouldn’t agree with all the given advises from my modern point of view, but it is very interesting to see what colour combinations were modern and considered interesting 90 years ago. And it can provide help when choosing fabrics and colour combinations to recreate a garment as correctly as possible. Somehow I always miss to post what I found on flea markets. Either I don’t make it to write a post in time or I think it isn’t that interesting to show it here. But now after a “few” months’ break, another “Getrödelt, Gefunden, Gefreut!“-Post, hosted as each month on Beswingtes Fräulein’s blog “Beswingtes Allerlei“. Well, I am far from being perfect and so I have to admit that this is also the month I bought the most shoes since…well, very long. Five pairs, to be honest, three of them new. Yes, shame on me (but they are so beautiful and were so reasonably priced….oh). And yes, I bought it. With 40 CHF it was quite expensive, but I still think it was a good buy. A very big book “Lehrkurs der Selbstschneiderei” (training course to home sewing), a smaller appendix with patterns for knitting and crocheting and even a postcard to order other books from this publisher as well as a pay-in slip. But the book itself! It has no date given, but judging from the illustrations and photos it should date from the 1930ies. I really hope to use it in the future, though I have to admit I tend to forget these kinds of things when working with patterns and just do as I am told or as I already know. But I really would like to try some of these ideas and at least I paid so much for it, would be a shame if I wouldn’t use it. Nachdem ich meist entweder das Datum verschlafe und nicht rechtzeitig fertig werde oder ich die erstandenen Dinge nicht für interessant genug erachte, hier nun endlich wieder ein “Getrödelt, Gefunden, Gefreut”- Beitrag von mir.